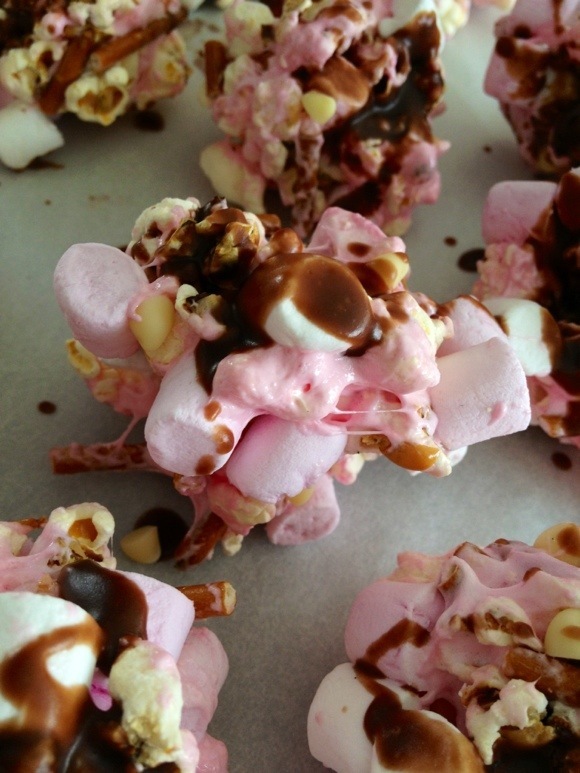 The latest creation: marshmallow popcorn gobstoppers! Melted marshmallow, mini marshmallows, popcorn, some pretzels for crunch, and lightly drizzled with chocolate. Yumsy!